Click on the small images below to bring up larger versions. 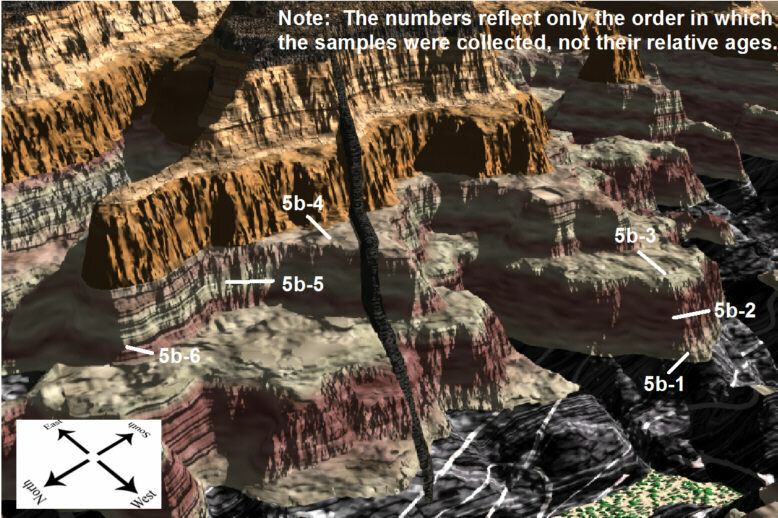 These images are of locations where rock samples were collected within Painted Canyon. 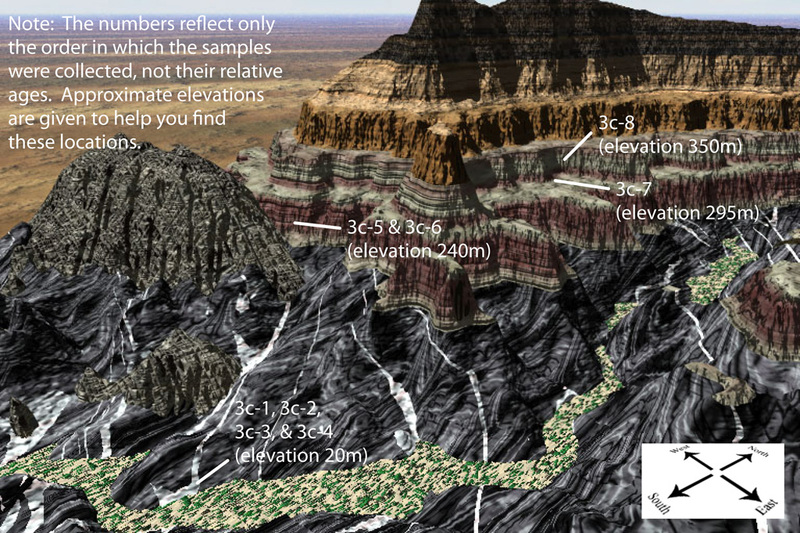 Eight mineral samples were collected on the mountains and ridges west of the canyon, as shown on this view looking northwest. You are not seeing all the map. Five samples (numbers 1 through 5) were collected, including samples 3 & 4, which were close to the massive gray mountain to the south. View is toward the northwest, and you are not seeing all the map. 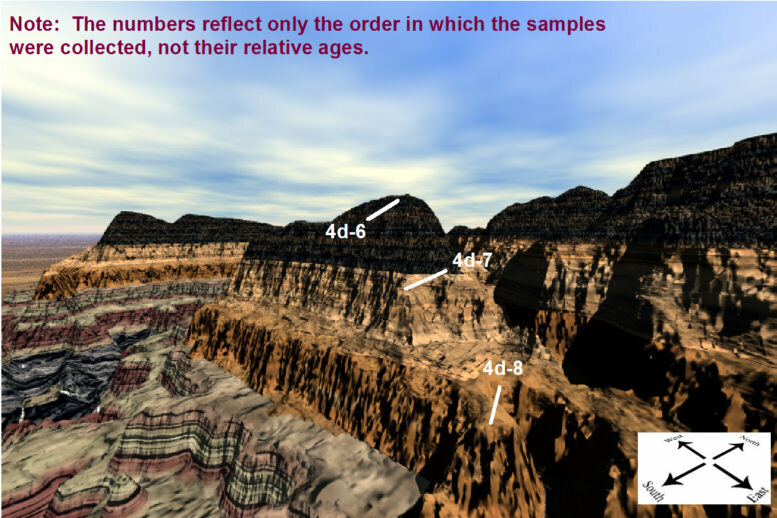 Three samples (numbers 6, 7, and 8) were collected along the straight cliff, well east of the main canyon. View is toward the west, and you are not seeing all the map. 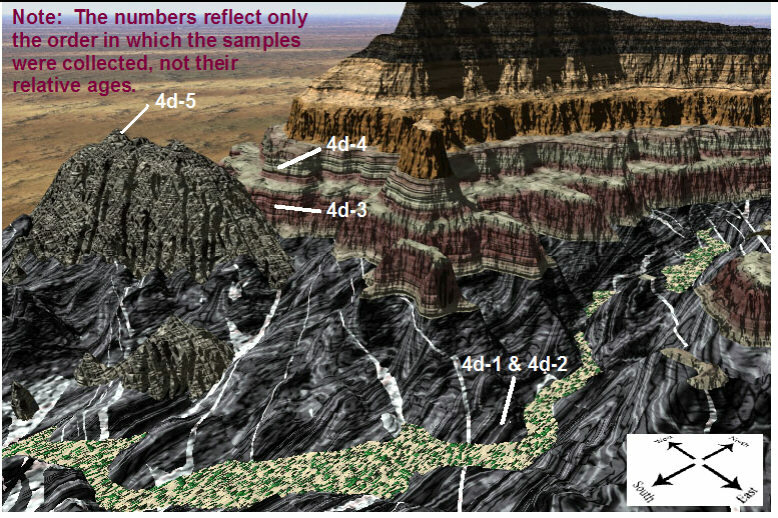 Six samples were collected east of the canyon, close to the center of the map area (near the distinctive ridge that projects toward the northwest). View is toward the southeast, and you are not seeing all the map.